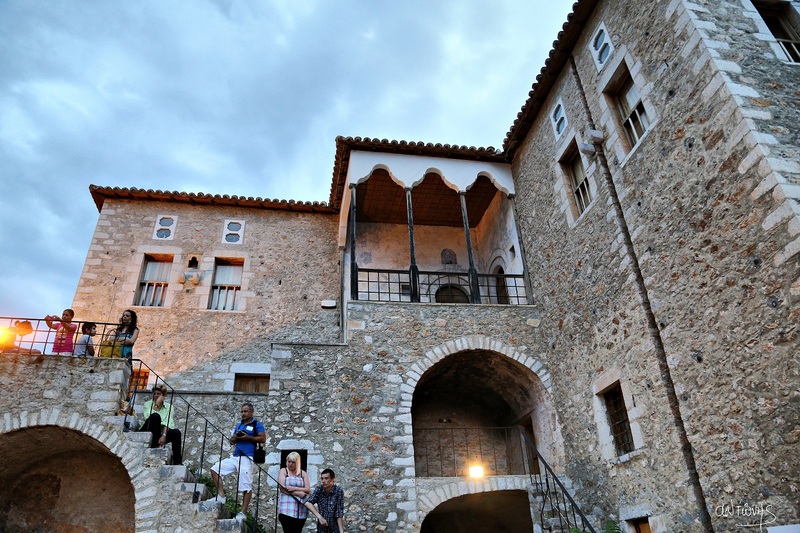 The region of Parnonas holds a special place in the field of traditional Greek architecture. The continuous habitation of the area from prehistoric times until today has left very important monuments of history, which form a continuum in development of the area and the profile of the region. Inextricably tied to climatic, geomorphic, social and economic conditions of the region, the local architecture is characterized by simple, austere, rigorous and geometrical style. Τhe towers and castles of the area are also of great interest such as Castle Geraki which is situated on the hill opposite to the village Geraki and the tower of Tsikalioti in Leonidion. Historically Preserved and Protected traditional villages of the area are: Paralio Astros, Agios Petros, Kato Doliana, Kastanitsa, Prastos, Platanos, Agios Andreas, Leonidio, Pragmateftis, Sapounakeika, Pera Melana, Tiros, Kounoupia, Poulithra, Vlahokerasia, Kerasia and Kosmas. The mansion Precious  and the mansion Katsikogianni, which dates from 1807 are located on the north edge of the village and they still preserve fragments of colored plaster , wood lofts, and wooden crossbars. Visitors will admire the Chatziroudi tower which dates from 1750 with walls perforated by various small windows and turrets [simple vertical slits] wich emphasis the defensive character of the building.